After the Mafanta affair, Siaka Stevens (Photo) was anxious to establish a foothold in the eastern province. In his first cabinet reshuffle, he appointed the eminent teacher and Agriculture graduate – Frank Anthony as his Resident Minister. Mr. Anthony had come into the APC via SLPP. He, like a few others, had won their seats despite not been awarded the SLPP symbol. He continuously looked for scapegoats and perceived troublemakers. And who better than B. S. Massaquoi, A. H. Demby, Dr. George Panda, Dr. Sama Banya and a few others. Not confining his funny activities to the Kenema district, he forayed forth into his own district of Pujehun. When Shekie realized that he had put the wrong man in a strategic position, Pa Anthony was sacked, even as he was collecting “witnesses” against his Pujehun district people. 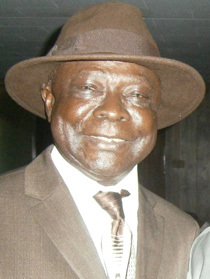 Shekie then appointed an old APC faithful – S W Gandi Capio as the Resident Minister East. As soon as he had settled down, Gandi Capio began to seek and cultivate the friendship and win the confidence of Mr. Anthony’s perceived enemies. He soon succeeded in pacifying first, the township, and eventually the district and the eastern province. William Smith was a young party activist back then. But he had lived in Kenema for a long time. He refused to pursue the exuberance of some of his party contemporaries. And so we came to 2007, after the Chief Electoral Commissioner – Christiana Thorpe’s botched and cooked up election results. William Smith (Photo) was appointed Minister of State for the Eastern Region. I had also criticized William for some of his earlier activities, but to my delight, he soon developed maturity and character, which were very unlike many of his APC colleagues. William embraced the Kenema where he had previously lived as a young man for many years. He became the statesman of tolerance and of even more importance, an even handed man worthy to be described as the true representative of his Excellency Ernest Bai Koroma. Much has been said and written about Smith’s qualities of leadership, statesmanship and friendly disposition; a man who administered justice as it should be, and not to accommodate any fanatics. Some of his detractors, including one or two minister colleagues criticized him openly. But W.J was not deterred by their partisan mischief making. Unlike William, such people will die “unwept, dishonoured and unsung”. But not W.J. Smith, as evidenced by all the praises that were showered on him during his funeral ceremony. And as Ambassador Victor Foh – the former APC scribe and cousin of William mentioned during the Church service, I have been connected with the Bagbo house for many years, and for various reasons, ranging from school associations to other social relationships. But I have to confess that my appreciation of the younger man, grew out of the mature qualities that he demonstrated as a political leader. I would often join him for a chat in the shop of a mutual Lebanese friend, whose shop faces the Kenema SLPP office. William was aware of my taste for the bitter Italian drink – Campari. And the only occasions when I left Kenema without a bottle from him, were his absence during my visit, or if I deliberately refused to let him know that I was in the township. As was also pointed to his Excellency President Koroma, despite being a judge of character, though not always, he will find it difficult to replace a man who had endeared himself to the people for all the right reasons. Many are yearning for the privilege of replacing Smith, among them the deputy APC propaganda secretary and a convert from the SLPP. He and a few opportunists like him, are promising his Excellency everything in the east. And yet, they could not win him the Njaluahun constituency. Dear President and distinguished nephew, beware of such men. I could give you a list of them. William Juana Smith has gone. But he will always live in the hearts of the people of Kenema and the eastern region. May his soul rest in peace, and light perpetual shine on him. Will Koroma achieve his youth employment targets?